Shehani & Andrew got married! 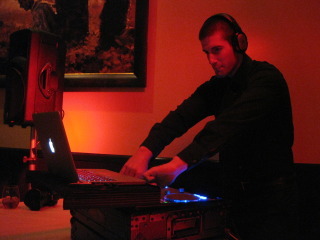 helping to create a fun night in the beautiful and intimate space on 02/19/12. DJ Grant rocks the Norwalk High School WInter Formal at Orange Hill. OCDJ Company entertains at a swanky Malibu estate for New Year's Eve. The OCDJ Company team was treated to a delicious dinner night out for the holidays. This last year, we provided music at Tribeca Hair Salon in Aliso Viejo for a fundraiser to support The Village of Hope, Orange County Rescue Mission. OCDJ Company entertains at Marine Corps Balls several times each year. OCDJ Company entertained at 5 parties on Saturday, October 29, 2011. We will miss you, Wild Rivers!